Prior to, and on into the Regency, the idea of bathing was connected to its medicinal value. It was particularly valued for the salutary effect it had on one’s health, and not for the sensibilities of one’s neighbors. By the eighteenth century, cold bathing had become quite the vogue. And much cheaper than Viagra! A large country house like my character’s estate would not have been complete without an open air cold bath. I modelled the cold bath at Northam Park after the one at Wynnstay in Denbighshire, pictured above. A extended discussion of this building’s historical value is here. Capability Brown included one in his landscape design for the Earl of Northam, commissioning the architect James Wyatt (1746 – 1813). Wyatt was already a rival to Robert Adam by this time and had not yet entered his Gothic period. 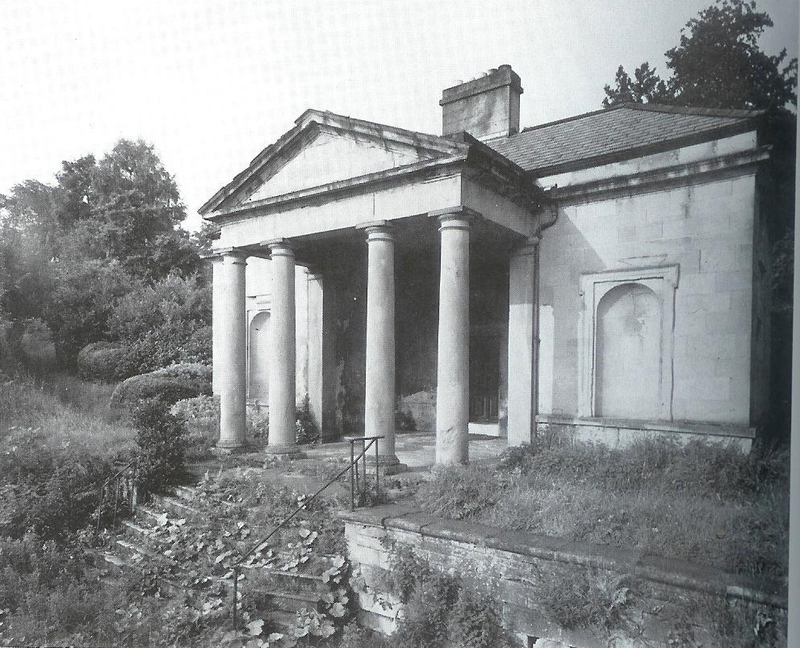 He designed a classical pavilion for Northam Park’s gardens, distinguishing it with a portico echoing that of the great house itself, and supported by ornate Corinthian columns. It overlooked a rectangular pit lined with stone. The cold bath was large enough for swimming, nevertheless the temperature discouraged extended sojourns in its icy waters. Afterwards, one could retire to the pavilion and change. To enhance one’s feeling of accomplishment, refreshments would be served. Just the thing for warming up. The Countess of Northam, the main character in Notorious Match, would entertain guests to her estate with at least one trip to the bath house. It was something of an outing. Both sexes would bathe together, appropriately attired of course. More examples of cold baths built and used during the Georgian and Regency periods are to be found here along with some very pretty photos of examples made out of grottos and gothic pavilions. 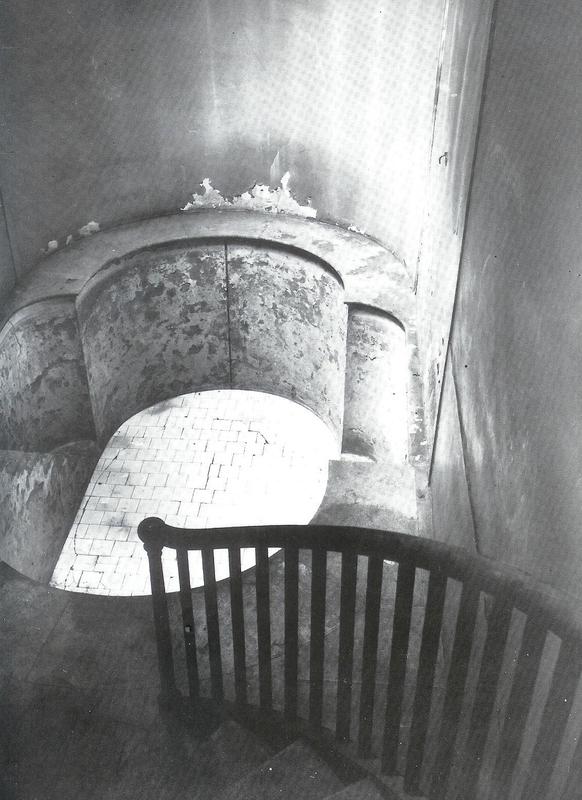 The various baths pictured in Jane Austen’s World are instructional, saving the naughty bits. This entry was posted in Notorious Match, Regency, Uncategorized and tagged Denbighshire, English country house, James Wyatt, John Adam, Palladian, Plunge bath, Wynnstay by Angelyn. Bookmark the permalink. A cold bath?? Don’t know if I would take the plunge. Delightful article on Regency bathing habits. Oh, come on. Cold baths are good for you! Great Post. Informative & interesting as always! What about all the men who say that taking a cold shower, decreases the libido? Elizabeth Grant in the Memoirs of a Highland Lady says that her father insisted all his children take a cool bath in the morning. That might be pleasant on a hot summer day but I bet not quite so comfortable on winter mornings in Scotland. An outdoor plunge pool sounds great. I saw a bath in king Ludwig II of Bavaria’s Linderhof castle just like those descriptions of a plunge bath. Makes sense. Good one on the Linderhof. King Ludwig needed a good soak every now and then, if the stories are true. Did you happen to see the Venus Grotto when you were there? It was so hot the day I visited I could have jumped into water, never mind the swan boat. Thanks for commenting!